When you enter the brightly lit, crisp and cozy tap room of Missoula’s Western Cider, the place seems familiar and welcoming. Music softly hums in the background, the decor is perfectly in-tune with the atmosphere, and the place is buzzing with the energy of an excited crowd. 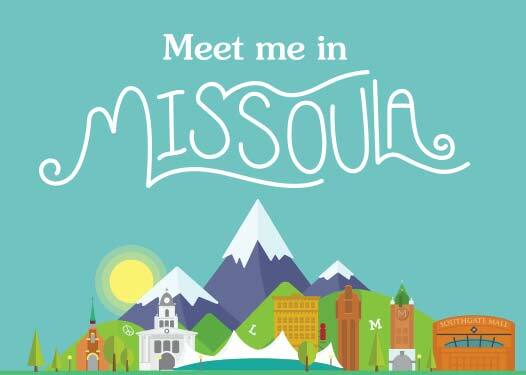 It is a go-to spot in the Missoula community, hosting events and craft markets and serving as the home of the kickoff harvest party for the Montana Cider Week, which takes place towards the end of September or early October each year. It is gathering place for people of all walks of life, and that is a beautiful thing. While it may feel like an old friend to Missoula’s community, Western Cider is relatively new, with its doors opening for business in the spring of 2017. Despite the newness, this place has made its mark on the local Missoula community, and the cider community of the Pacific Northwest and at large. Co-owner and orchardist Michael Billingsley sat down with Destination Missoula to discuss the origins of the award-winning Western Cider and why cider is something that we should all be excited for— and on the lookout for. “It started from the orchard side of things,” Michael explained to me on a beautiful fall day on the Western Cider backyard. The sun warmed the cozy wooden tables, the green grass, and the small line of apple trees that separate the covered and uncovered sections of the patio. “My wife and I own an orchard down in Stevensville. I had always loved agriculture, but I grew up in a big city [in] San Antonio, Texas, and so I wasn’t really around [agriculture], but I always appreciated food. And then I watched the movie Lonesome Dove as a little boy—I was about four or five—and watched that with my dad and brother. We recorded it on VHS, and then I watched it over and over and over all the way through high school, and I always wanted to come to Montana ever since seeing that. So that is kind of why I came to Montana—really for no good reason at all.” He says this with a laugh, but it is a story all too common. It is hard not to fall in love with Montana, with its winding rivers and jutting mountain peaks. And Michael knew that this was the place that he wanted to make his mark, and his home. His research took him to Europe, to places like Spain and France where cider has been made for over a thousand years. Since cider is derived from the apple trees, soil and climate is a huge factor in apple production. An apple tree growing in upstate New York will produce a different tasting apple than one growing in Missoula, Montana. But luckily for Michael, and for Missoulians, Montana’s climate and history is prime for growing delicious apples. Michael knew that cider was going to take off, but he took a huge leap of faith in deciding to put all of his apples in one basket, literally. Even though the doors opened in 2017, Michael and his partners have been working towards their dream for years. Western Cider, Missoula’s only cidery, serves up locally sourced and made apple cider, a fermented and oh-so-delicious beverage to suit drinkers with varying palettes. Are you more of a wine connoisseur? Or perhaps you tend to prefer hopped-up craft brews. Do not fear, for there is something for everyone in the cider world. Western Cider sources all of their apples as local as possible. Some come from Michael’s orchard in the Bitterroot, while others come from the old orchards in and around Missoula. However, Western Cider is producing too much cider to only use Montana apples, so they look towards our neighbors to the west: Washington and Oregon. Perhaps the most poignant example of the symbiotic relationship between Missoula’s community and the cidery is the Great Bear cider, a cider made from a community apple drive paired with the Great Bear Foundation. The result? A variety of ciders with different flavor profiles. Last year there were three iterations of the Great Bear, and this year depends on which applies come into the cidery this fall. The future for Western Cider is bright. 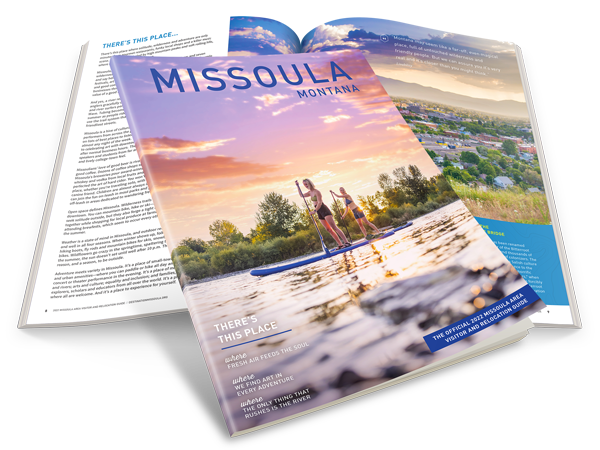 Their building is located on the banks of the Clark Fork, a short distance from historic downtown and directly across the walking bridge from the up-and-coming Sawmill Gulch District. Western Cider hosts events throughout the year, including serving as the kickoff spot for the Montana Cider Week. So next time you find yourself in the Last Best Place, take a seat at the bar and order yourself some of Montana’s best cider—you can thank us later.